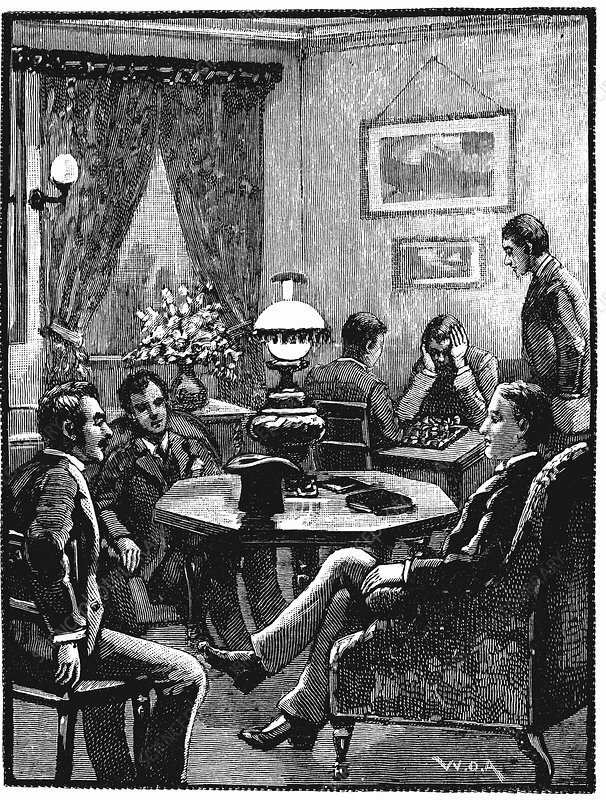 Sitting room at Young Men's Christian Association (YMCA's) Exeter Hall, London, 1887. Where young men could relax and receive visitors. Wood engraving.